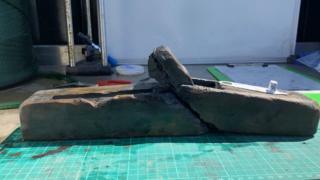 More artefacts from warship that was wrecked in the Solent in 1758 have been brought to the surface. 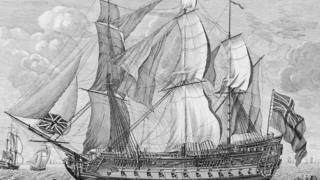 HMS Invincible – built by the French in 1744 and captured by the British in 1747 – is believed to be one of the most important ones warships ever built. A second ditch currently being undertaken on the shipwreck site near Portsmouth. 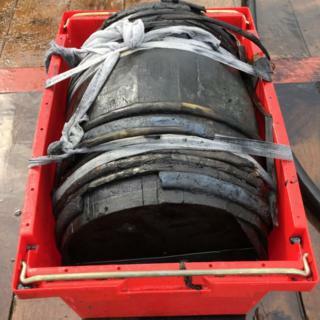 Among the knows are a gunpowder barrel, swivel handguns, woodworking tools and a sandglass used in calculating the ship’s speed. 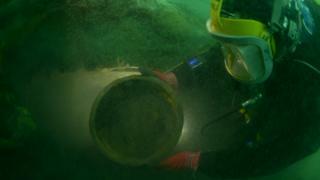 The first part of a major excavation of the Royal Navy vessel was carried out last year with divers recovering hundreds of items. 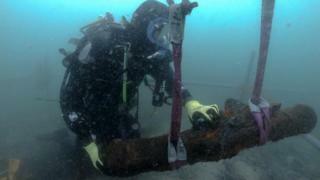 The project is being led by Poole’s Maritime Archaeology Sea Trust( MAST ), National Museum of the Royal Navy and Bournemouth University, and is officially endorsed by the Duke of Edinburgh. 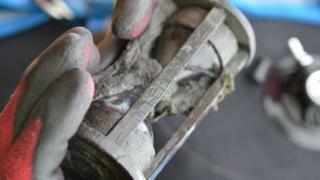 Jessica Berry of MAST said some of its consideration of this agenda item retrieved from the seabed over the past few months, during the second phase of the ditch assignment, were “absolutely immaculate”. Among the encounters are six swivel guns, ended with their mount. The crew now feels the ship carried a complement of 12. She said the ditch was a “race against time” to rescue the artefacts as the sandbank recedes, uncovering the ruin to the elements and criticizes from shipworm and gribble. Timbers, rope, a bottle of corked rum and a button from the Coldstream Guard regiment were discovered last year. Archaeologists said the experiences will help them build a clearer picture of what life was like for sailors more than 200 years ago. 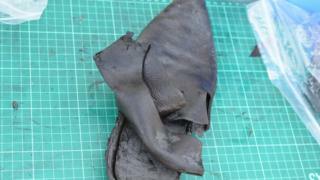 After conservation at MAST’s centre in Poole, the artefacts will go to the National Museum of the Royal Navy in Portsmouth. The 74 -gun ship was lost when its rudder jam and it guided aground on a sandbank between Langstone Harbour and the Isle of Wight, capsizing 3 days later. No lives were lost. In 2016, MAST was apportioned a PS2m so-called Libor grant, from penalties levied on the banking sector, relating to the “critical risk” to the wreck.